SATURDAY’s light rail launch will see a number of popular roads closed for the whole day on Saturday (April 20) and part of Sunday (April 21). From 4am, Saturday, April 20, to 6am, Sunday, April 21, the stretch between London Circuit and Barry Drive will be closed. Northbound motorists will be diverted onto London Circuit and southbound motorists will be diverted onto Barry Drive or Cooyong Street. 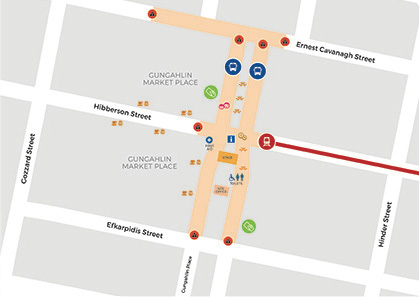 In Gungahlin, the Gungahlin Town Centre at Gungahlin Place, Hibberson Street and Ernest Cavanagh Street will be closedon streets surrounding light rail stops and the interchange from 9pm, Friday, April 19 to 6am, Sunday, April 21. There will also be changed traffic conditions and reduced speeds along Northbourne Avenue. 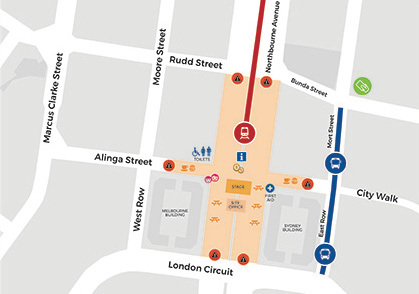 The launch events will run from 9am to 4pm at Civic and Gungahlin. This should make Light Rail very unpopular from day one. I do love a good street party!